Searching for property in Aspen? 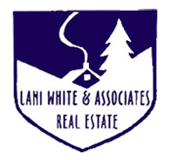 Welcome to the website for Lani White of Lani White & Associates. I have had more than 30 years of experience in sales of vacation homes and condos, ranches and land and investment properties in the Aspen area. I have the experience to help you in the purchase of your perfect home or ranch. And, when you are ready to move on or move up, I always offer the experience and personalized service that you will appreciate. It's the winters and the skiing that have lured people to Aspen for close to a century. Experiencing our Rocky Mountain powder snow and clear, brilliant days on one of Aspen's four ski mountains, you'll know why Aspen is arguably the most famous ski resort in the world. Aspen Mountain, is the signature ski mountain in the Aspen area, but there are three other world class ski mountains...Snowmass, Aspen Highlands and Buttermilk-Tiehack. You can enjoy a ski-in home or vacation condominiums at all four ski areas. Also, year round, Aspen is a center for culture and outdoor sports and is one of the most scenic resort areas in all of North America. You will love to hike or bike or horseback ride the many scenic trails all around Aspen. Or, if you are a golfer, you will love to live in one of the top quality golf subdivisions and country clubs in the are. 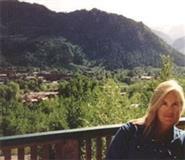 Over the years, countless visitors to Aspen have made the decision to purchase a second home or vacation condo here. And, some families have been lucky enough to be able to make the move to live in this special place in the Rocky Mountains of Colorado. Besides Aspen, there are other charming Victorian mining towns such as Redstone, Basalt and Carbondale. You can also find scenic ranch and equestrian communities in areas like Old Snomass, Missouri Heights and the Castle Creek Valley. Forty-five minutes from Aspen is historic Glenwood Springs, which is famous for its hot springs, which was visited by Teddy Roosevelt 100 years ago. Glenwood Springs also has its own ski area, Sunlight, and is a thriving business and residential community at the confluence of the Roaring Fork and Colorado Rivers, which are popular for rafters and kayakers. Please take a look at my "About Aspen" section to see some beautiful photos and descriptions of these areas. I encourage you to check out this website to do a search of current listings in the Aspen valley area and also for local neighborhood and school details, mortgage information, interactive maps,listings of properties of homes for sale, plus many more features. Please contact me directly if you have any questions about the Aspen area real estate market. Whether you are a buyer or seller or just have questions, I look forward to hearing from you. You can also find out more about me in "About Lani". This is a one-stop real estate website for all your home buying and selling needs in Aspen, CO.